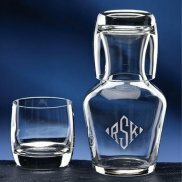 Engraved drinking glasses are perfect for the board room, or for your next business event. 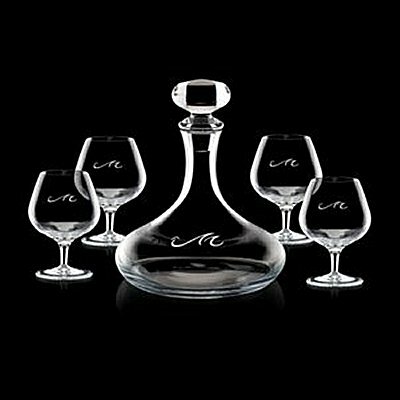 Martini Glasses and highball glasses make good corporate gifts or for your boardroom bar. You will find plenty of uses for these custom crystal water carafe sets and water pitchers. In the boardroom, office or home, the clarity and elegance of real crystal will make your drinks taste better and match your contemporary decor. 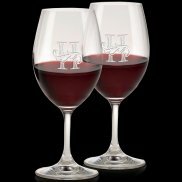 Whether your are looking for a personalized wine glass, a customized wine glass set with a wine carafe or Riedel wine glasses we have it here! 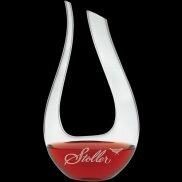 Custom wine decanters, liquor decanters and personalized ice buckets. Every well-appointed home bar commands well-designed custom coasters. A truly elegant corporate gift. Select from several styles of engraved pen sets. Rosewood, chrome, optical glass, the choice is yours. 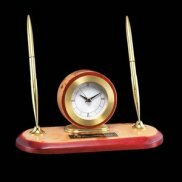 Personalize the pen stand for a special rememberance, like graduation or new hire. 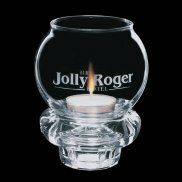 Customize these candle holders with your logo and add a flair to your next special occasion. These custom coffee mugs can be personalized by engraving your logo on each coffee mug. 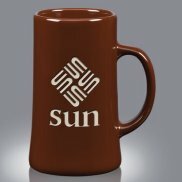 Select ceramic, glass or stainless steel mugs as your next corporate gift.